Like emeralds sprinkled across a sapphire canvas, the remote islands of Micronesia are some of the most beautiful, unspoiled places on the planet. The islands were settled by adventurers in tiny outrigger canoes without the use of modern navigation tools. The people navigated their world using sacred knowledge of the stars, the waves, and the wind. This knowledge was handed down generation to generation, from father to son, mother to daughter. The people developed a deep bond with the ocean. The ocean took care of the people, fed their families, and the people took care of the ocean in turn. Traditional forms of conservation were developed centuries before western countries came up with the idea of marine spatial planning. 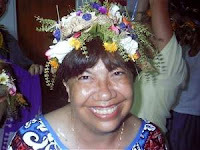 In Palau, a chief would declare a bul, a moratorium on fishing, during the spawning season of certain fish. This ensured that resources were naturally replenished, guaranteeing long term supplies of fish. In the Marshall Islands, the community designated certain parts of land, a whole island, or reef area as a mo, a restricted site. Only the Iroij or paramount chief could give permission to visit. Taboos against eating certain foods also developed. The more charismatic animals were incorporated into the culture, too. 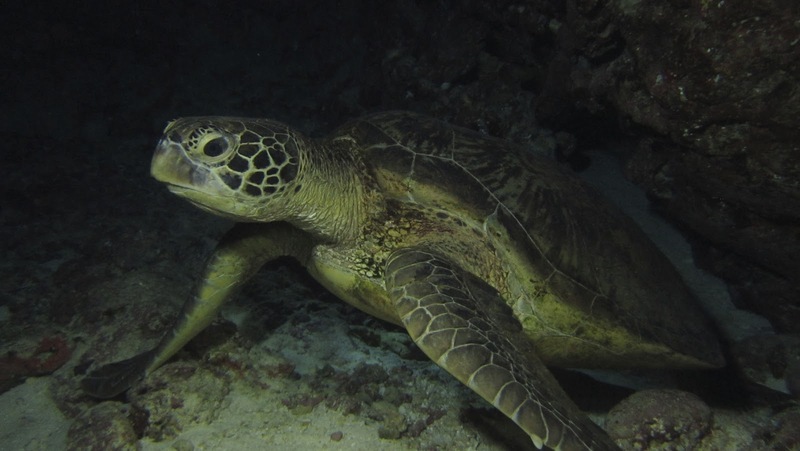 Some people believe that their ancestors are descended from the creatures living in the sea, including sharks, turtles, and big fish like Napoleon wrasse . Clans would not eat the animals making up their totem. These traditional conservation strategies worked for millennia to guarantee ensuing generations inherited their natural heritage from their forefathers. But the world has changed. The modern world provides new challenges. Climate change. Overfishing. Pollution. How will Micronesians navigate these changes? One of the biggest problems facing Micronesia is the overfishing of sharks. 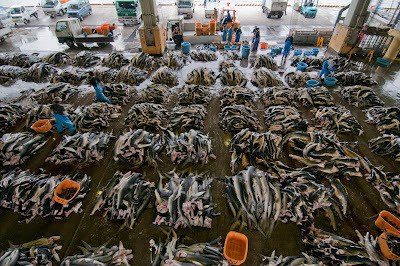 The overfishing is fueled by the demand for shark fin soup, a delicacy in Asian countries. Once reserved for emperors, it has become hugely popular in the last few decades, and is now ubiquitous at weddings, banquets and business dinners. A single kilogram of shark fin can be worth thousands of dollars, leading fishermen to overfish their populations. 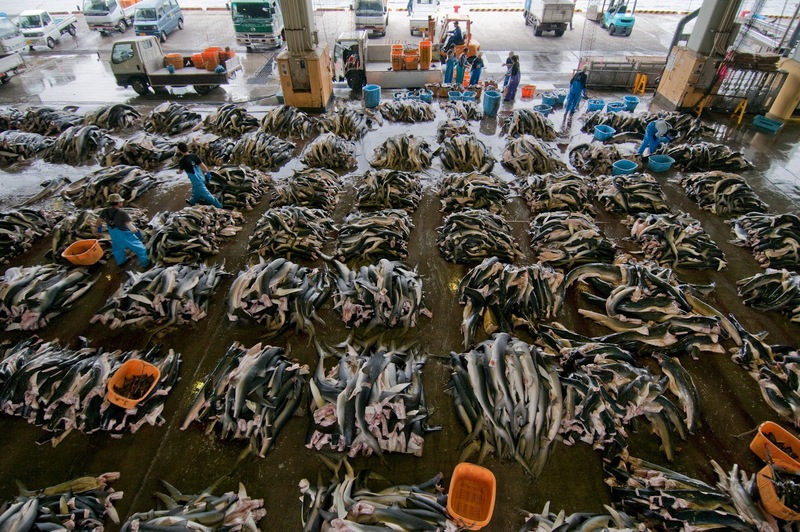 Up to 73 million sharks are killed each year to supply the global shark fin trade. As a result some populations have dropped by as much as 90%, all in the span of a single human lifetime. Sharks aren't like other fish, they reproduce more like mammals, having only a few babies at a time and taking decades to reach sexual maturity. Losing sharks will have serious consequences for people because sharks are apex predators. They maintain the health of ocean ecosystems, especially coral reefs. Studies have shown that when sharks are removed from coral reefs, the ecosystem falls out of balance and this can lead to a reduction in the number of fish and the amount of living coral on the reef. In Saipan in the Northern Mariana Islands, students who learned about the global situation of sharks realized they needed to do something. A sixth grade class at San Vicente Elementary School started a class project to learn about sharks. When they found sharks were being slaughtered, the students wrote letters to the governor, and contacted international conservation organizations to help them. 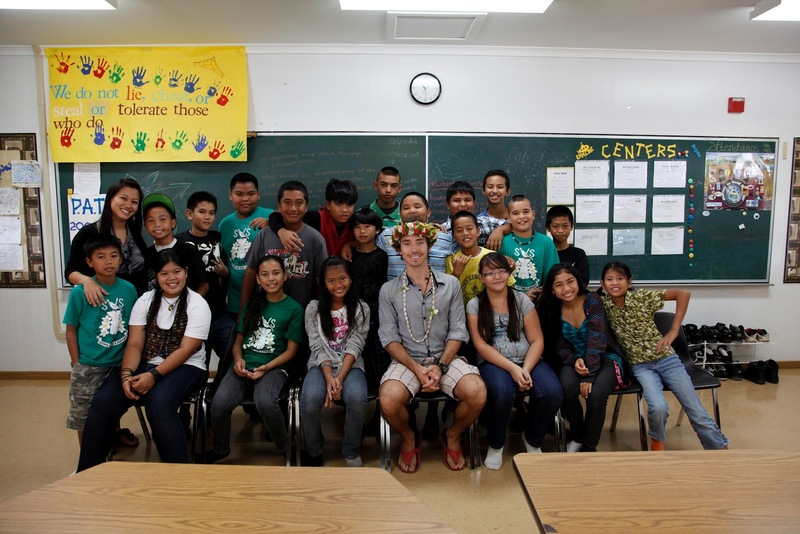 Around the same time, students in neighboring Guam decided they wanted to protect their sharks. The students held save the shark rallies, and when a bill was introduced, they organized their friends and filled a hearing room to capacity. The students on Guam also asked the world for help. They got so many emails and letters from around the world that the blackberries of several senators crashed. But the road to protecting sharks was not an easy one. 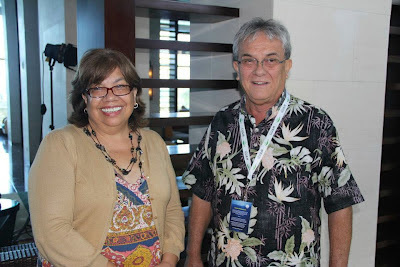 Lobbyists from the fishing industry in Hawaii flew to Saipan to try to convince the governor to veto the bill. And the bill on Guam was controversial because a few fishermen were opposed to it. Palau was the first country in Micronesia to protect sharks. In 2009, on the floor of the United Nations General Assembly, president Johnson Toribiong declared his countries waters off limits to commercial shark fishing. And on Saipan and Guam, the students convinced their governors to sign the laws. 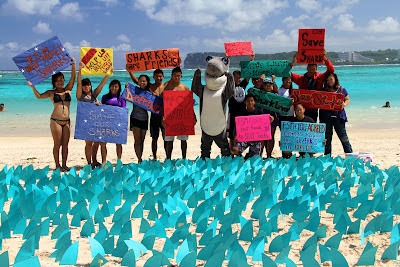 Saipan became the second place in the world to ban shark fins and Guam became the third. Then the Marshall Islands, led by the charismatic Senator Tony DeBrum, banned the commercial fishing of sharks. The Federated States of Micronesia is considering creating a shark sanctuary this year, too. Already, bills protecting sharks have been introduced in Pohnpei and Yap, and there is great interest in Chuuk and Kosrae. Micronesians are navigating this change by studying their problems, and by working together. Though separated by thousands of miles, these islands are connected by their care for the marine environment, and by their deep cultural connections to the ocean. 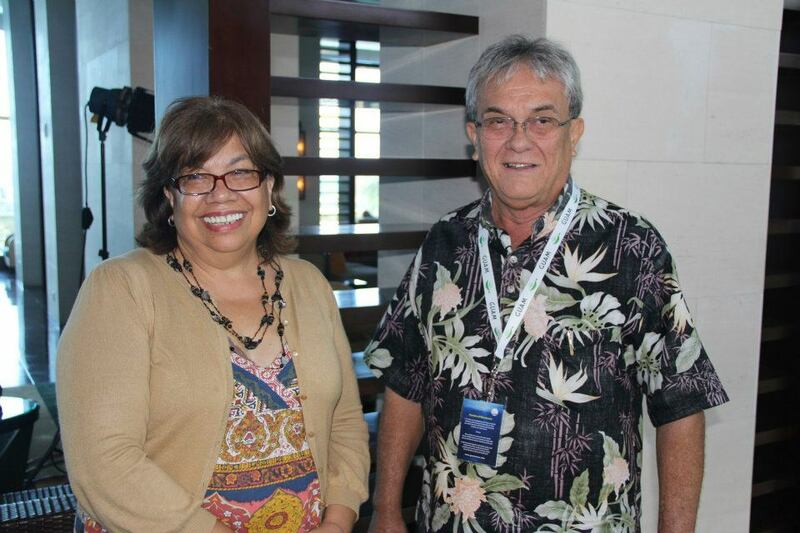 Carlotta Leon Guerrero is the executive director of the Ayuda Foundation and a former member of the Guam Senate.